[Hello Prilon!] Hi Suzy, I have stepped back into the heavenly dimensions so that you can concentrate on the matters at hand. [Yes, we had been working on the modules for the Ascension Class.] Yes but in your dimension of 3-D, things are changing very rapidly. In your messages are coded frequencies that assist the readers to prepare for the convergence. [Can you explain to me about the convergence?] Yes, the convergence is the melding of timelines and this belief is what will occur on the date of 12/21/12. It will plunge the Earth into darkness for a period of 2-3 days. In this time the Earth’s axis will shift, the poles will move, Gaia will be born into a higher frequency and the inhabitants will ascend with her. In this time of darkness, some who choose to leave their bodies will continue on in another 3-D reality. This experience in some cases will be very similar to the current Earth reality. It will be as if they have woken up from a long nap, to find everything pretty much the same. It is their wish to continue in this way. Others will imagine themselves back in the frequency of heaven. These souls prefer to release their bodies to continue their paths. Only those who wish to ascend with Gaia will awaken from the slumber and be in their bodies but with an evolutionary upgrade. This upgrade is how you will experience the higher fifth dimensions as Gaia’s first generation. In this experience, duality will be non-existent. There will be a group energy that will assist inhabitants to make decisions based on the greater good of all. Individuals will automatically make decisions that will support the whole, not the one. This will make life for everyone much easier. No more greed or corruption as it simply will not be able to co-exist with this frequency. A new system will be in place for assisting all aspects of daily life. This may take some time to get up and running, but this is seen as a few hours to days. Be certain all is well during this transition. The planet is ready and this shift is supported by all levels of vibration. Give this message to the tribe first, then to the masses. The tribe, other channelers, speakers, voices of discontent are all trumpet blowers to this birth. From Suzanne: The days of darkness may be metaphorical, literal, I have no idea. Also, I think this event is truly indescribable. I am sure this message and others like it are only scratching the surface! ♥ Also, this point of view from TAUK group, Face Book member, Dennis Monckton Thanks so much Suzanne for this wonderful message. I’ve always felt like we would have a magnetic pole shift. During that time due to it’s affect on our brains we would loose all our 5 senses. Our brains would adapt to the new polarity on the earth over a period of yes 3 days. Without senses it would be dark. After that we would all be living in Unity consciousness. That is how I envisioned the shift. ~ Thanks Dennis! so what if you mum and brother don’t ascend , won’t you wake up shocked and distressed, with all these families split up? It could be your father and sister, or any combination who either do or don’t ascend, but between now and that date — I truly cannot imagine there is time for the consciousness changes required? Very well that I can communicate whit you! “some who choose to leave their bodies will continue on in another 3-D reality” . I want know if all the soul that want to do so, where they “woken up from a long nap”, here in this Gaia or in another planet, in a totally NEW life in another body? I think that is an very interesting aspect to know before this question be a reality. Please answer to me Suzanne. Jörgen H. of H a Lightworker more. Certainly you has not answer any of my question Suzanne whit satisfaction. Sorry! Please…, I think that I need an answer from the Galactic Confederation. I want, IF for you is possible contact with them and take all the question to them. Hello…I just read your posting and wanted to share that years ago (within the last 8 years) I was informed about a three day of darkness arriving. I have been keeping my eyes open and watching for signs of this occurance. You have confirmed for me with this message that it is indeed going to happen. As you say, is it metaphorical, real or what? In my own opinion, I think the three days of darkness will be “darkness” in the sense of still being awake, but in a void. So there will be no egoic thinking rather we will be totally in the moment and all experiences will be like floating in space…where time stands still. I am starting to have such experiences only momentarily though. Perhaps in preparation for the three days of darkness. There is so much going on so fast…hard to keep up with. I also believe that everyone has a path and those who have not chosen to ascend will either continue to live in the 3D aspects and have difficulties in the “new world” or will transition to back to spirit. Thank you for sharing! So according to this information, the actual ascension will happen on the 21st, and goes on through three days? and everyone who chooses to ascend will ascend? Also, due to the geographical chaos, wouldn’t some people who choose to ascend could die accidently? I hope that you can communicate with the Galactic Confederation, so you can answer my questions, that for me and many more are very, very important. 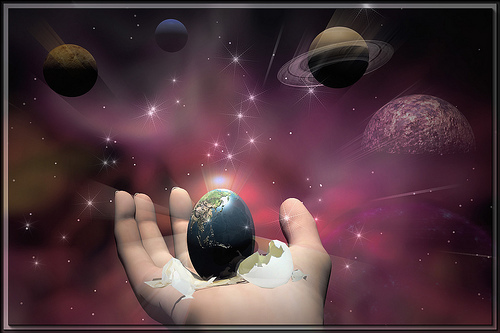 Question number 1: continuous be here in Gaia or in another planet? Question number 2: Must move in a totally NEW life in another NEW body? Namaste, Jörgen H. of H.
Yes I understand…but maybe you can send my question to Greg Giles or/and Laura Tyco? I apologise for posting off topic here, but freedom of speech and the internet is incredibly important, how is suzanne going to deal with her site now that ACTA HAS BEEN MADE LAW…A sad day for freedom of speech.